Powder CanadaPowder NewsNewsFirst Snow of the season! 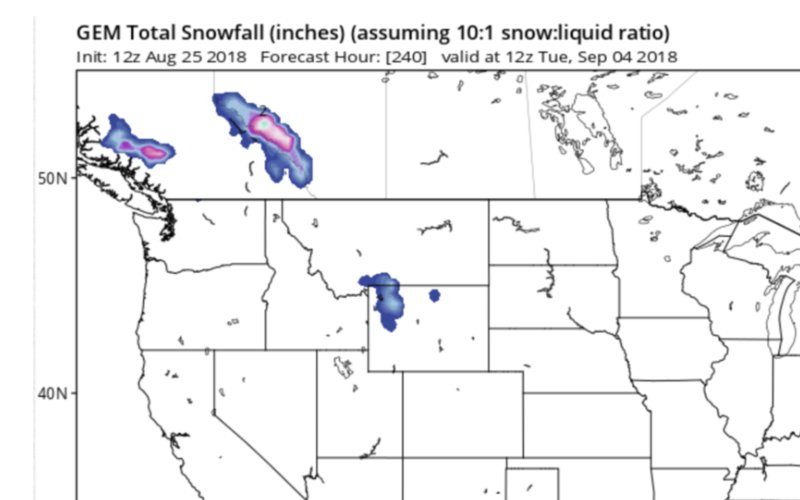 The first snow of the season is coming to mountains in BC and Alberta! The first snow is largely symbolic and stokes us powder lovers for the coming season. The first snow stoke is relative to the individual, some hike to shred the powder snow on glaciers. Trevor Sexsmith was a leader at setting the first significant powder tracks of the season. 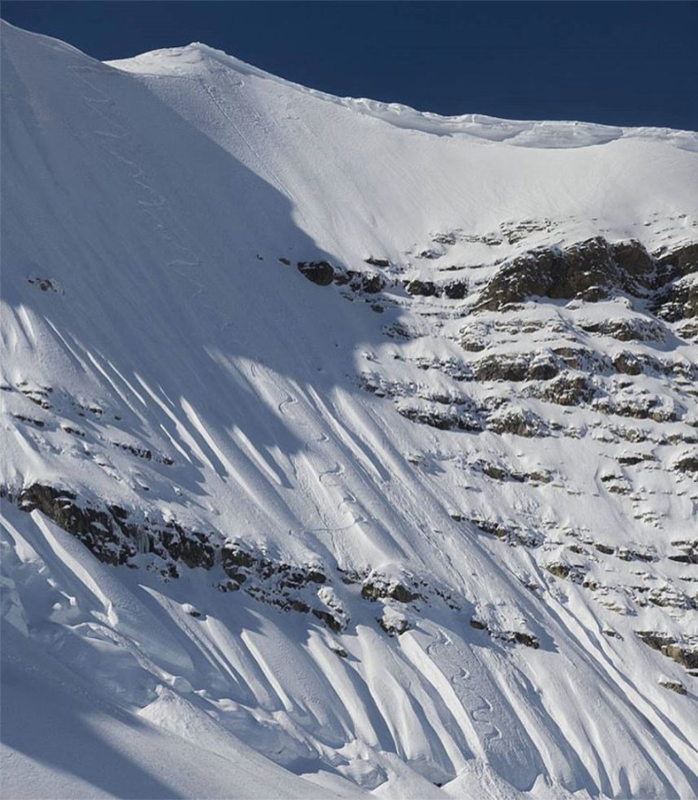 Trevor’s early season skiing was exceptional and then unfortunately, a fluke avalanche took his life. My stoke is high however I won’t be hiking for a few powder turns until November. I will however be celebrating the fire extinguishing potential this precipitation will be delivering to BC’s burning forests. BC’s burning forests are identifying problems with our existing forest management system and global Warming. 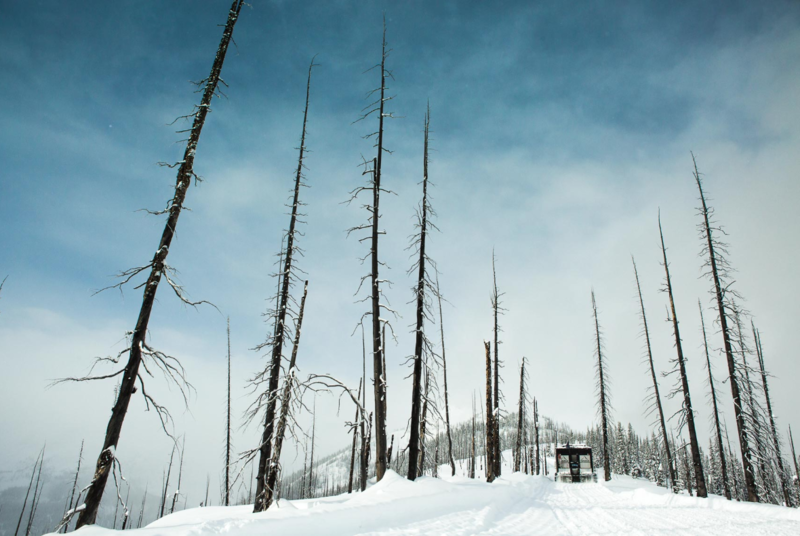 The fires do create excellent skiing in some areas, Chatter Creek’s Burnt Forest comes to mind, and Global Warming is negatively impacting our glaciers and yearly snowfall. Hopefully some form of balance will be forthcoming in the future.